You may be getting older, brother, but in lots of ways, you're still just like a little kid. Seriously when are you gonna grow up ;) HAPPY BIRTHDAY! Every brother is unique. Let your brother know how amazing he is to you. 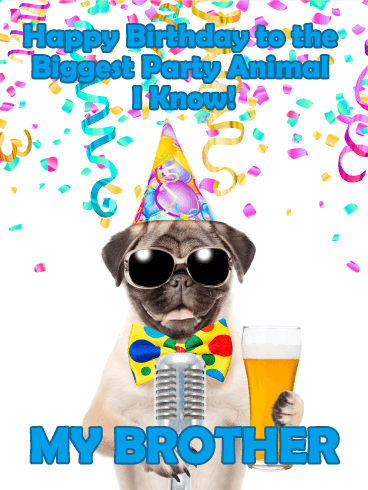 Help him celebrate his birthday with this festive birthday card filled with confetti and balloons. 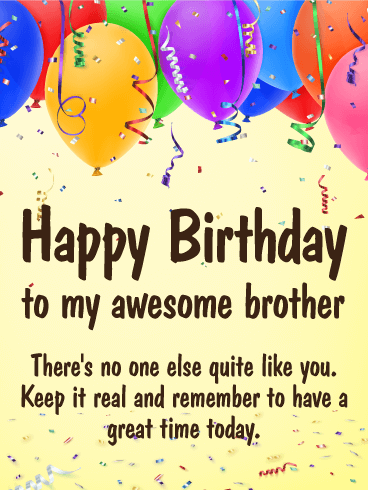 It's quick and easy to wish your brother a great day-just choose your favorite birthday card with the perfect message and send it on its way! He'll smile when he opens up his inbox and gets a thoughtful birthday message from you. Fireworks make any birthday more exciting! 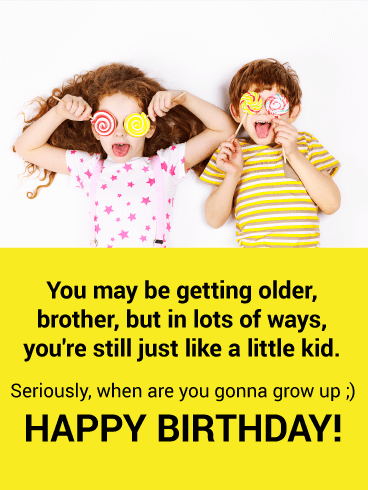 Light up your brother's birthday with this stunning birthday card that wishes him a day full of good fun and great memories. 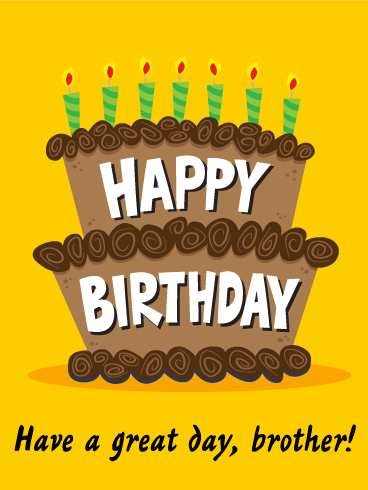 Make it a birthday to remember with this birthday card that is bursting with warm wishes. 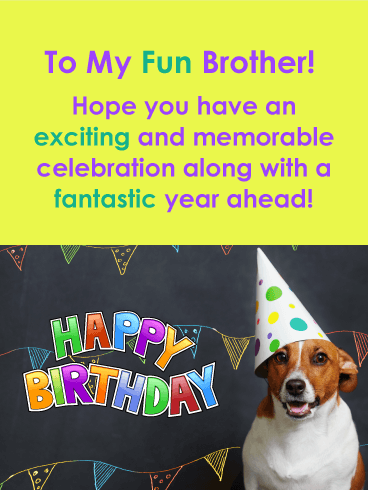 Send a birthday message to your brother that is all ready to go and sure to please! 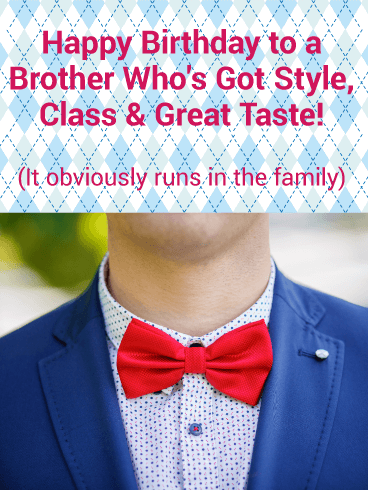 Send some pizzazz to your brother! 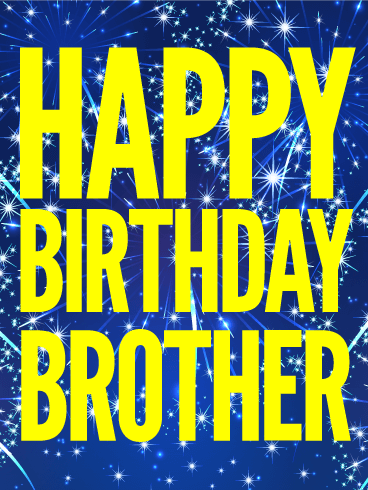 This glitzy birthday card is a super fun way to celebrate your brother's birthday. 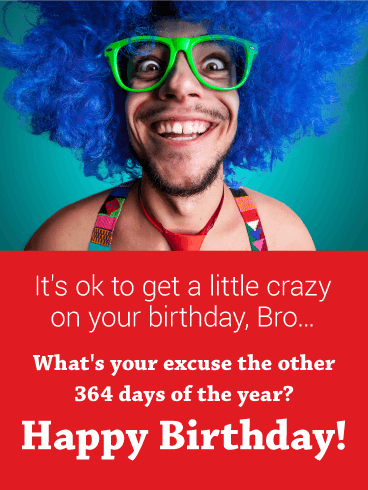 Try something different this year and fill up his inbox with fun birthday cards that will make his day! Whether near or far, he will love the sentiment and know that you are thinking of him. 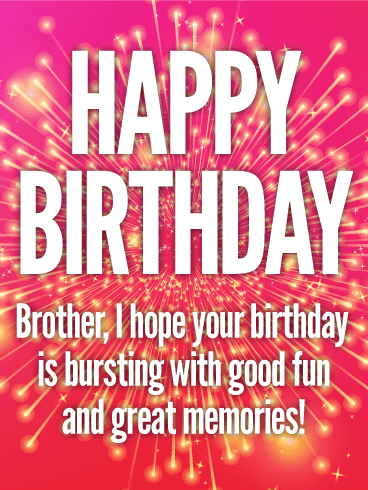 Birthday cards are a terrific way to wish a very happy birthday to your brother. Incredible. That's your brother. Lucky. That's you. 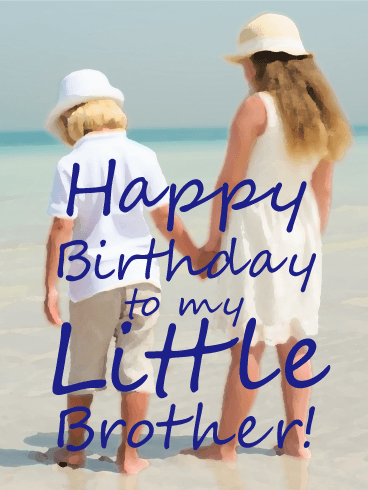 Here's a birthday card for siblings who know life just wouldn't be the same without each other. 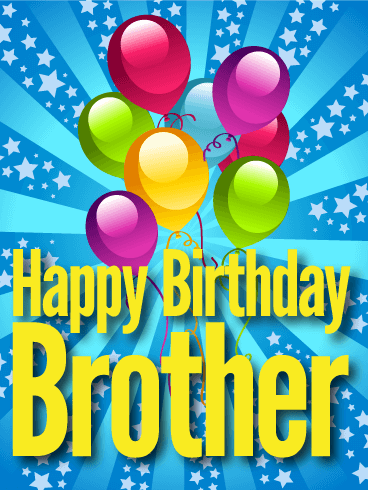 Celebrate your brother's life with this fun and colorful birthday card. 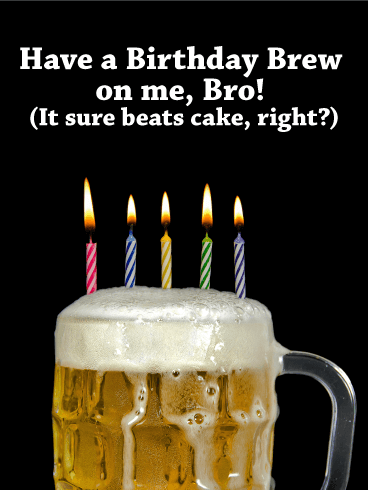 Send it today to put a smile on his face and to brighten his birthday. 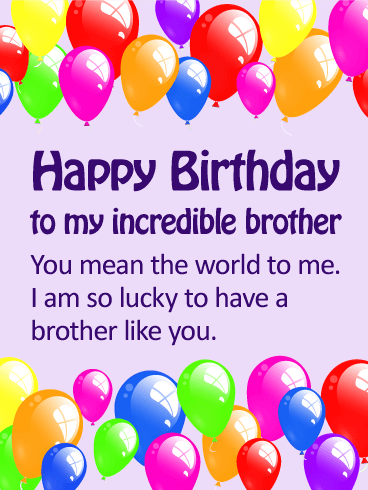 Let your brother know how much he means to you and send this thoughtful birthday card today.